Attention Runners! Mobilize these 2 Often-Neglected Areas for Better Performance! 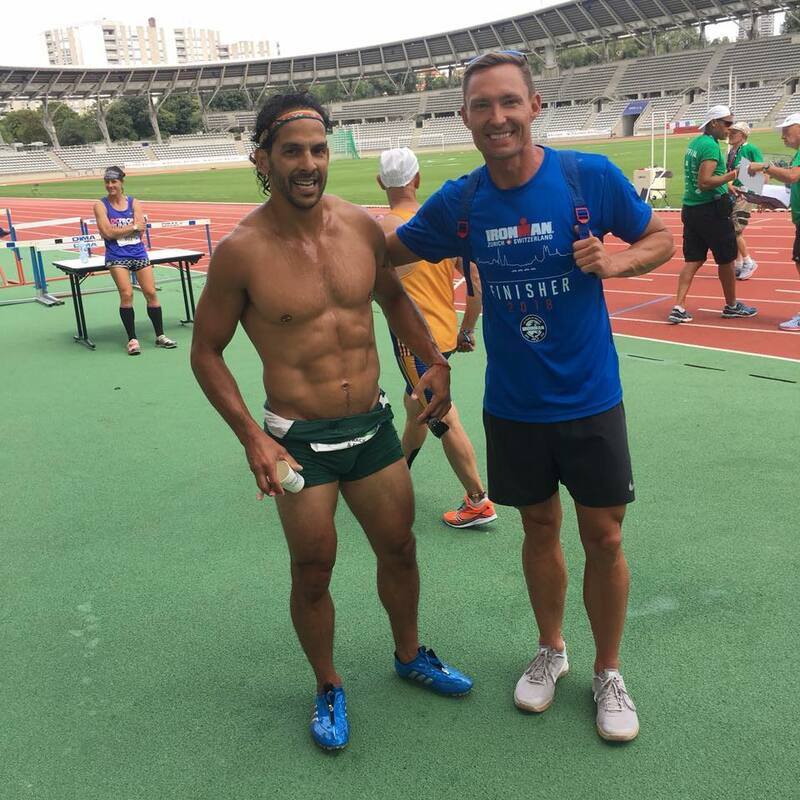 Two of the fastest humans we know – Nuno Costa & Christopher Walden – crushing it at the Gay Games 2018. If you run a lot, chances are that your adductors are tight. Tight adductors can lead to dysfunctional walking and running gait, pain throughout the hip region and even strain of the groin are. There are a couple ways to roll this area – the inside of the leg between the VMO (above the knee) to the groin. Grab yourself a barbell, a foam roller or a softball and give it a try! You may not realize it, but shoulder mobility is super important for runners and it’s time you spent some time on yours so that you can relax them into proper form as you run. Many people carry their tension in their shoulders, and specifically the upper traps. These drills (along with some awareness on your part) will help you ensure that you aren’t shrugging with intensity or hunching forward while you run. You can do any of these either before or after your next running session depending on how tight you feel going into the session versus how much tension you picked up during your run. You don’t want to miss our new ½ Marathon cycle that runs from September 3rd through Thanksgiving! We promise you’ll see improvements in your running AND have fun while doing so!